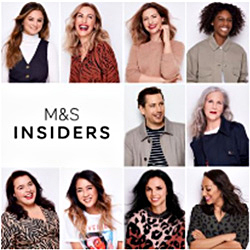 This page provides information about who we are and the legal terms and conditions that may apply to your use of marksandspencer.com/us whether as a registered user or as a guest and any product or service you order from us. The Terms and Conditions apply to your use of the M&S website at www.marksandspencer.com/us and to any order you place on the Website. 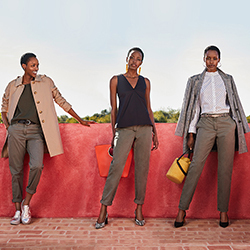 The Terms and Conditions apply regardless of how you access the Website, including any technologies or devices by which M&S makes the Website available to you at home, on the move or in store. You must read these Terms and Conditions carefully, and we recommend that you download or print and keep a copy for your future reference. By accessing, browsing, using, registering with, or placing an order on the Website, you confirm that you have read, understood and agree to these Terms and Conditions in their entirety. If you do not agree to these Terms and Conditions in their entirety, please do not use this Website. These general terms and conditions of sale (“General Terms and Conditions of Sale”) apply to any order you place through www.marksandspencer.com/us. These General Terms and Conditions of Sale apply regardless of how you access the Website, including via any technologies or devices by which M&S makes the Website available to You at home or on the move. You must read these General Terms and Conditions of Sale carefully. By placing an order through the Website, you confirm that you have read, understood and agree to these General Terms and Conditions of Sale in their entirety and you agree to be bound by them. If you do not agree to these General Terms and Conditions of Sale in their entirety, you must not order any product or service through the Website. If you are a non-EU customer please note you may have cancellation rights governed by local legislation. Nothing in these General Terms and Conditions of Sale will affect these statutory rights.